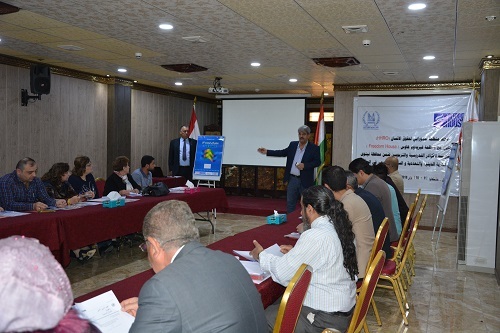 Attendance of thirty educational and academic personalities from Nineveh province in the workshop. 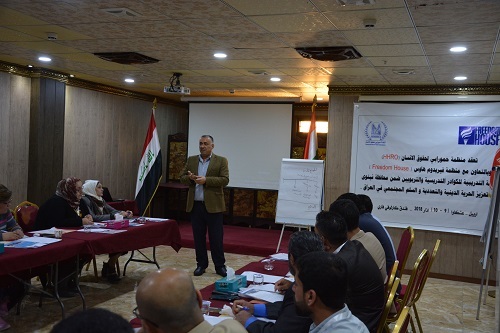 Participants of the workshop receive training and discussion sessions on religious freedom and the stance of the international law and Iraqi national legislation taken thereon. Selection of fifteen trainees from participants to prepare them for another workshop by the same address scheduled for April 2018. 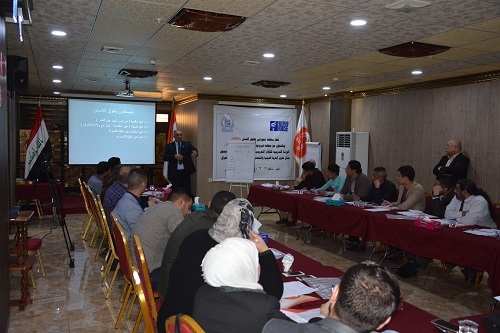 Hammurabi Human Rights Organization held a training workshop with support and cooperation of (Freedom House) organization entitled "Promoting Religious Freedom, Pluralism and Community Peace in Iraq". 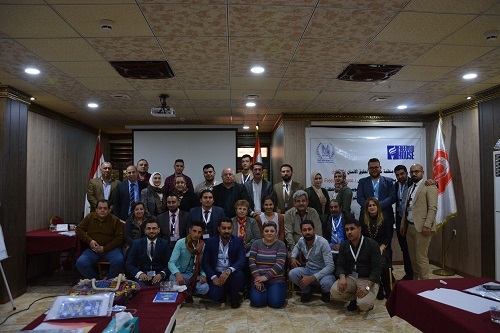 The two days workshop was held on 9th March 2018 with the participation of educational and academic personalities from Nineveh province. 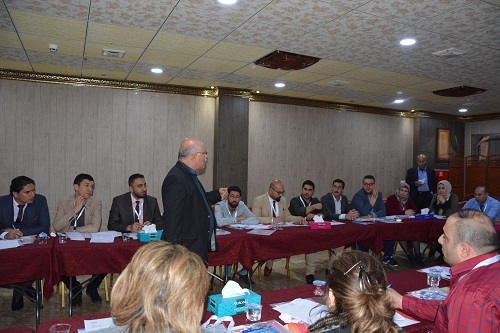 The training was taken by the Iraqi international expert Dr. Mohammad Turki. The opening session of the first day included a welcoming speech by the workshop director including greetings on International Women's Day on 8th March. The speech of Mrs. Pascal Warda Head of Hammurabi Human Rights Organization was delivered on the same annual occasion followed by a round of introduction among attendance. The first lecture was about human rights in question and the freedom site on the map of human rights reviewing the significations of religious freedom and belief, within international law and national legislations. A discussion session was the third leg of the day concerning how to defend the freedom of religious. The second day of the workshop was devoted to a thorough review of the first day of presentations, conclusions and results. After that, a comprehensive discussion was held on how to defend freedom in general. The second day of the workshop also dealt with restrictions limiting freedom. The lecturer submitted an analytical test on what has been presented displaying facts, information, indicators and results in a frame of an analytical exercise to the workshop participants, also receiving a lot of questions and queries about the future prospects of the applied field approach to promote religious freedom and spreading the concepts of pluralism and social peace in Iraq. As such number of conclusions and recommendations have been drawn up to be raised to the concerned authorities as priorities of community and legal to preserve religious diversity, religious freedoms, and protect the required rituals. 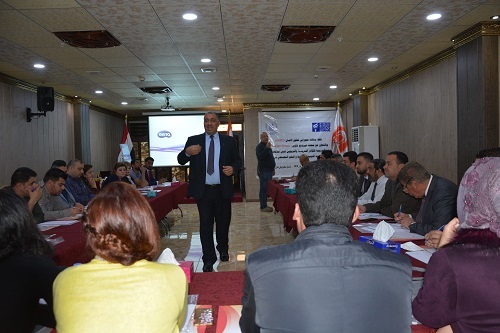 Within the workshop programs was the selection of fifteen participants to prepare them as trainers for another workshop scheduled for April 2018 to be eligible to promote the spirit of citizenship and reject the culture of hatred establishing more links of transparent civil relations, in particular among young social groups and the transfer of contexts achieved in this field to all people of Nineveh province. It is to be mentioned that the workshop aimed at the rehabilitation of Nineveh citizens to promote the freedom of religious and pluralism in Iraq by preserving the values of solidarity, partnership and national principles, spreading the culture of diversity in a field response to all the terrible crimes committed by terrorist ISIS groups in the province and to remove much of the repulsive and aggressive social extremism that ISIS sought to call for in Nineveh province.